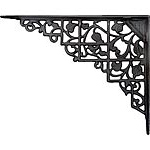 Our beautiful antique shelf brackets are the perfect combination of style and performance. 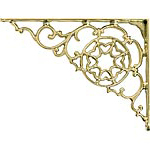 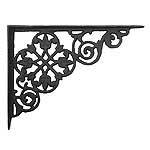 Whether you choose stylishly rugged cast iron shelf brackets or traditional brass shelf brackets these decorative brackets will add a touch of class to any home. 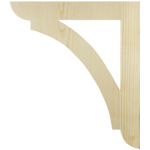 We even have a selection of wooden shelf brackets and corbels that are ready to paint or stain for a perfect match to your home's interior.